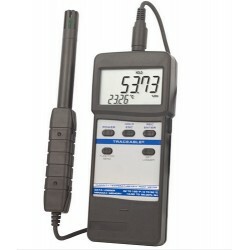 Humidity Meters There are 5 products. 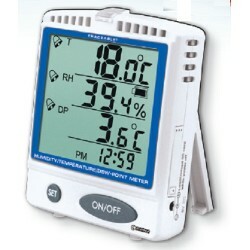 Hygrometer measures temperature, humidity and dew point. 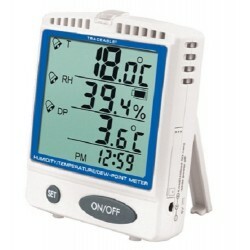 Unit simultaneously displays humidity or dew point and temperature. Unit displays Min/max humidity readings. Records wide humidity variations on a second-to-second basis. 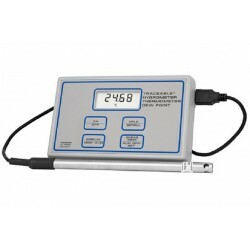 Data logger captures 1000 readings manually at the push of a key or automatically when set between 1 to 3600 secs. Computer output allows data downloading. 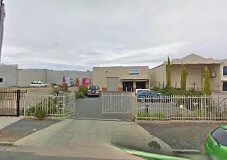 Control Company designs, manufacturers, and sells equipment and scientific instruments for plants and laboratories in the industrial, biomedical, hospital, educational, and governmental market. 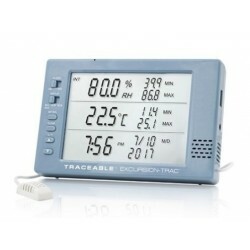 ADELAB SCIENTIFIC is an appointed Australian Distributor for the range of Traceable® products supplied by the Control company.